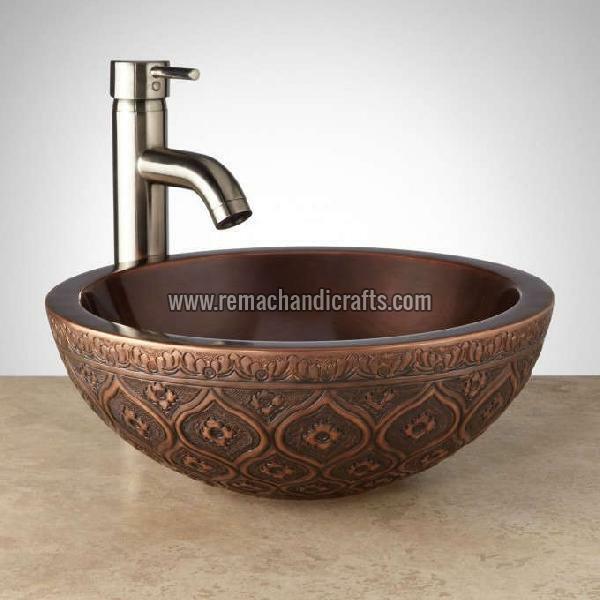 These 1007 Nilofar Copper Vessel Sink has 16 diameter x 6 H (± 1/2"). Our loading docks to load and unload goods from trucks are well-maintained by the professionals; with completely automated warehouse that is sternly supervised. Thus, we make sure that products are kept safely. We cater to the personalized packaging requirements of the clients. We make use of premium packing material for ensuring safety of the products during handling, warehousing and transportation. Material -Copper Made of solid, 16gauge, double-wall copper. 16 diameter x 6 H (± 1/2"). Interior - 14" diameter (Â± 1/2"). Basin is 6 deep. 1-1/2" drain size.